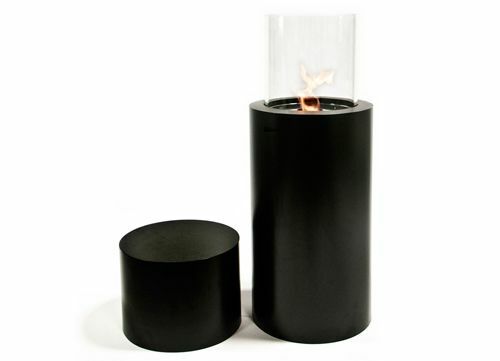 This free-standing cylindrical fireplace is beneficial for you and the environment. This fireplace uses bio fuel, which does not give off any harmful gasses or smoke. It also burns cleanly without ashes or soot. This fireplace gives off 4,000 BTUs and burns for up to 2 hours on one tank of fuel. The unique design of a streamline appearance, modern black finish, and 12-inch flame surrounded by glass makes a statement in any home. Also, this fireplace requires no permanent installation, chimney, or vent line. Choose this pedestal fireplace to add warmth and interest to any room.